Using 3D models of the parts of plant and animal cells can help students to understand the cell from a visual perspective. 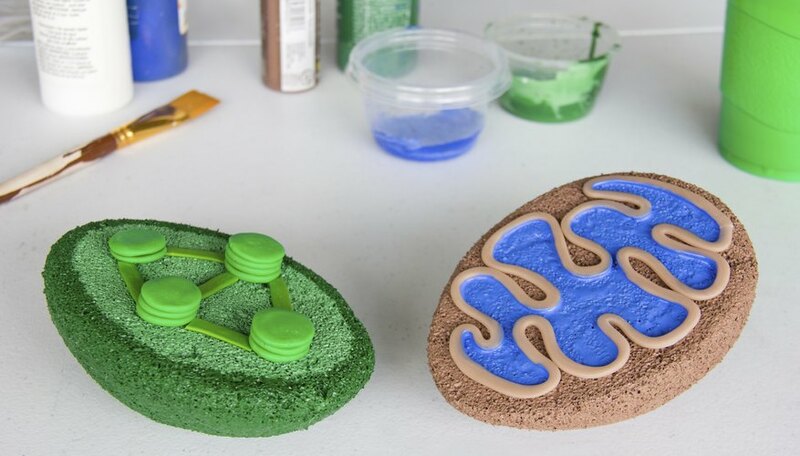 To represent both the mitochondria, also known as the "powerhouse" of the cell" and the the chloroplast, organelles found only in plant cells and eukaryotic algae, use a styrofoam egg and different colors of clay. Making these models of organelles will allow students to see the inner workings of the components of the mitochondria and chloroplast. Slice the styrofoam egg in half (at a 45-degree angle from top to bottom) using a craft knife . Place one half aside. Paint the outside of the half styrofoam egg using brown craft paint. This will represent the outer membrane of the mitochondria. Paint the spaces in between the wavy structure of the inner membrane using blue craft paint. This will model the matrix. Paint the outside of the other half of the styrofoam egg green. This will represent the outer membrane of the chloroplast. Paint the face of the egg using a light green craft paint. This will represent the inner membrane of the chloroplast. Roll balls of modeling clay to make quarter-sized thylakoids, the pancake-like sacs inside chloroplasts, and then flatten them until they are the size of a quarter. Stack them to create granum. Make about three granum. Superglue the granum to the inner membrane portion of the egg. Attach each thylakoid to the inner membrane surface in their stack. Make strands of modeling clay, about 1/5 of an inch wide (1/2 cm), and superglue them to the styrofoam. These strands need to connect the granum, which represent a system of tubules. If there are no styrofoam eggs available get a styrofoam block and carve out a cylinder shape using a craft knife. Use caution when cutting the styrofoam with a craft knife. VivianP. "How to Build a 3D Model for Cell Biology Projects Mitochondria & Chloroplast." 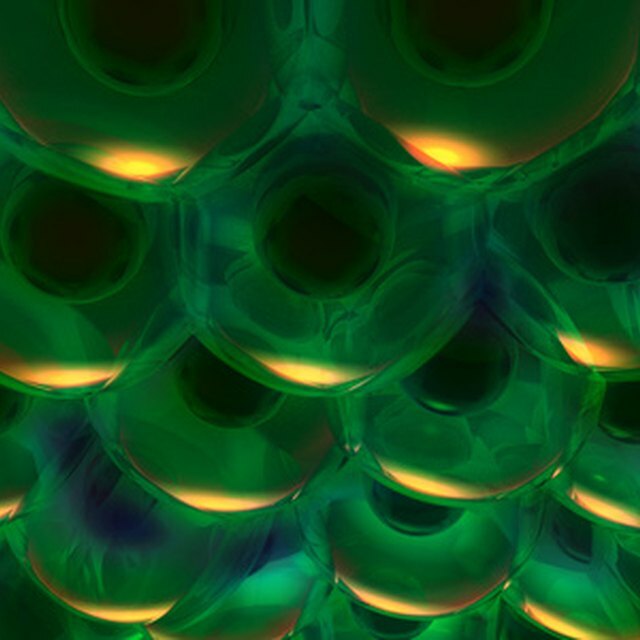 Sciencing, https://sciencing.com/build-biology-projects-mitochondria-chloroplast-6814096.html. 04 May 2018.